This new integrated portal presents Morocco's solar energy plan and provides the latest information about the ongoing activities of the agency. Harnessing the new technologies of information it also allows for e-tendering, a process where companies and consortia can bid online for the different solar plants which are to be up across the country. 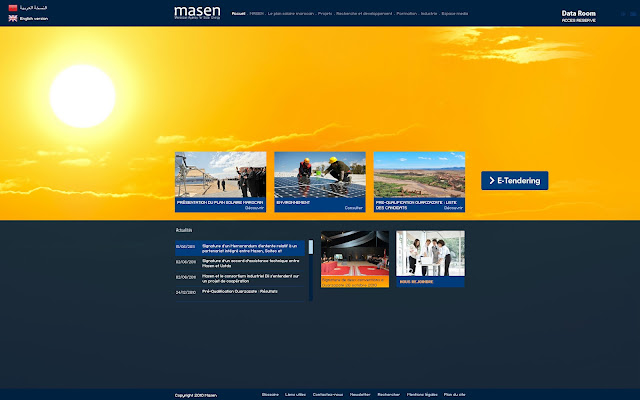 The platform strengthens MASEN's presence on the web and furthers its reach globally while giving more visibility internationally to Morocco's National Solar Initiative. How Is This Blog Coping ? Hydrogen, A Definitive Game Changer ?